Win in the court of public opinion. Drive decisions with critical feedback from government surveys. With so much competition for resources and funding, governments and their agencies need to prioritize policies, programs, and initiatives that most benefit the public good. To find our what your constituents want and need, you need to ask, and our government surveys can help. Flexible, affordable, and secure, our online survey tool makes it easy to start a conversation with your community, and keep it going. Take a pulse with polls, ask for feedback on civic events, measure opinion through well-crafted citizen satisfaction surveys, boost issue awareness – even assess the political climate before elections. Transform this valuable, crowdsourced data into smart politics and real change.  "SoGoSurvey: Simple online survey tool that can be set up by any user any time. Generate reports in seconds." Deliver beautiful surveys on all smartphones and tablets without any extra work. Preview the mobile versions before you send to ensure you’re delivering a great survey experience. Encourage candid feedback from your constituents with anonymous and confidential surveys. Give respondents the privacy they need to share their concerns. Show your constituents you’re always listening. Define triggers and set up email alerts to flag any negative feedback, letting you address issues before anyone vents on social media. Our survey templates are 508-compliant, and meet all US standards for respondents with disabilities. SoGoSurvey also complies with EU Safe Harbor and US-Swiss Safe Harbor laws. Easy to implement, simple to use, and flexible enough to perform all kinds of surveys and polls. Get all the features you need at a price that makes sense, even on a tight budget. Amplify your reach using the right channel for your message and your audience. Distribute emails, embed surveys and polls on websites, share on social media, or send via SMS. Embed images, video, and audio into your online survey to clearly illustrate your points and engage people of all ages, cultures, and abilities. Sometimes, to reach people, paper surveys are the best option. Create your survey online, then print and distribute. We’ll import the data to your account for easy analysis and reporting. Our support team is always prepared – 24/7, 365 – to promptly answer your questions and help your survey go as smoothly as possible. Easily generate and download professional, presentation-ready reports. Get a quick snapshot of the results, or dive deeper to identify issues and trends. Add your seal or logo, and select your own colors, fonts and backgrounds to make your surveys more engaging and appealing, and build your bond with your community. Engage your constituents to learn key perspectives and win support for key funding and legislative decisions – before you make them. To drive real change, pursue new projects, and make the best use of your resources, you need quality data to support your case. Our best-in-class reports will help you identify the factors that contribute to your success as well as your obstacles to overcome. With just a few clicks, compare results by demographic, date range, or a specific question or benchmark. Flexible and customizable, our reports let you drill down even further by any criteria you choose. Illustrate your insights with attractive reports incorporating graphs, tables and charts. Share dynamic links with select insiders and allow them to view real-time results, metrics, and insights. We make it easy to communicate your findings, gain backing and approval, and determine next steps. Surveys open a dialogue with your constituents. If you respect their time by creating short, relevant surveys, you’ll get more responses and more thoughtful feedback. Recognize your constituents’ individuality by pre-populating any information you know. Use branching to ask the most relevant questions and personalize each person’s path. Keep it concise and straightforward, and you’ll see more engagement. Plus, they’re more likely to participate in the future.